Hi. We worked on my cell and pc yesterday. I need to walk through this samsung Intensity II so I'll know how to put music on my ell phone. I'm not clear yet. Can you work with me again? Are you able to see my file folder in the menu list. If yes, please go into my files folder and see you have music as a folder there and look for your stored song. In case you face any difficulty, Please let me know. I'll be happy to assist you. You can try couple of thing. Your phone allows the transfer of MP3 files directly from a computer to the microSD memory card, inserted in the phone. 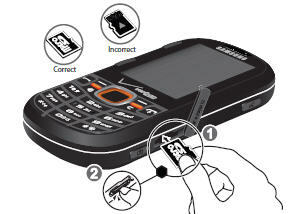 In order to use this option, the microSD memory card must be formatted by the phone to create the necessary folders. First we format your memeory card then try fresh transfer of music. Please follow below steps and try we get your music working on your phone. Pull the memory card cover out and turn it to expose the card slot. Now to transfer MP3 file to your memeory card, Please follow below steps. 1. Insert a formatted memory card into the memory card slot. 2. From the standby screen, press the OK key for Menu. 5. Connect the USB cable to both the phone's Power/Accessory Interface connector & the computer's USB slot. 6. When successfully connected, the phone will show Connected to the computer... and Call Disabled on the display. 9. Disk screen or open Windows Explorer manually. 11. 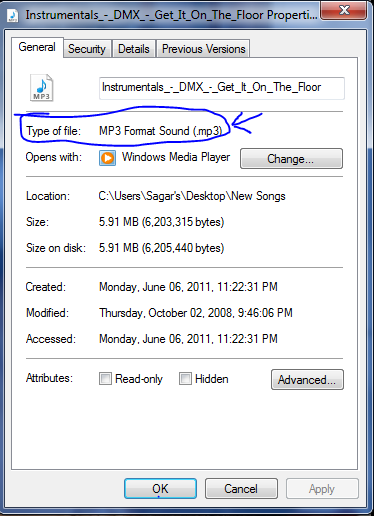 Drag n Drop or copy & paste the MP3 file(s) into into the phone's My_Music folder. Once done disconnect cable. Remove card from card reader and insert in phone. Try Again hope you'll see music back on phone. Please share how it goes. IF still face issue. Please let me know. I'm happy to assist you. You can also hava a look in below link, This will guide you more about your phone. One more thing, Your phone only support MP3 type of music. So before storing any music in your memory card, please be sure that, it is MP3 type..
To know the sony type. Right click on the song you want to store in storage piece. A pop will appear, Then select property. It should show you the song type. Please check and if it is MP3, Then you are goog to play it in your phone. I put in a verification number not knowing what I was doing. sorry couldnt start. Ive got a Samsung IntensityIIcell phone. Hi, I want to transfer pictures from my cell phone to my computer.